Conducting educational programs for members. their ability to provide leadership to their state association. 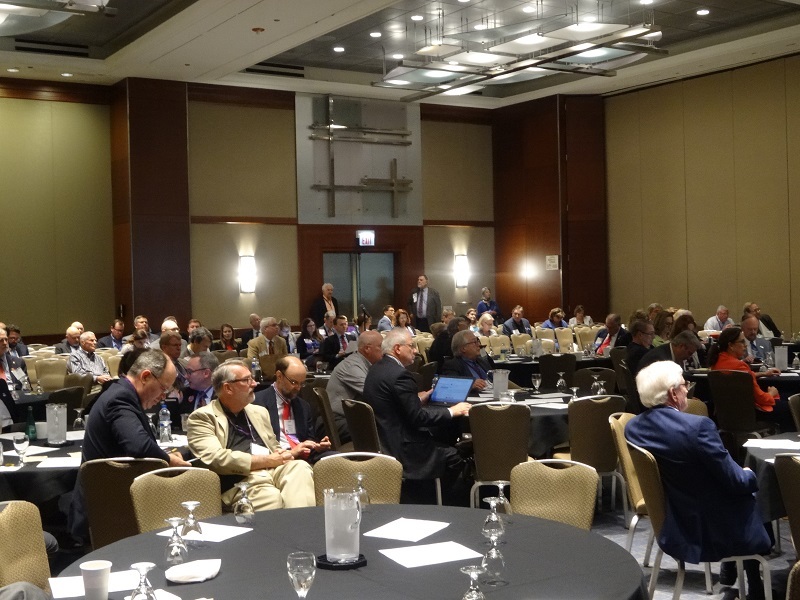 To provide an opportunity for leaders in the constituent associations to improve communication between each other. 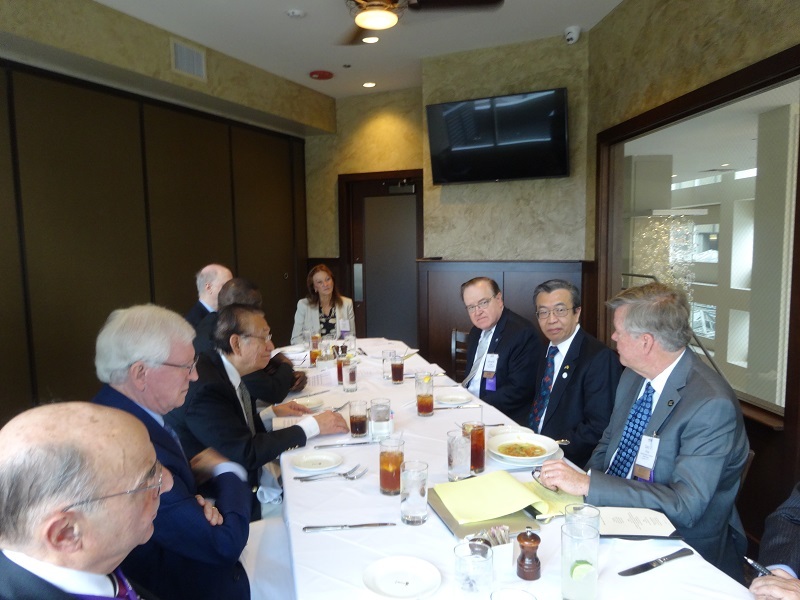 To augment communication between the constituent associations and the American Medical Association. 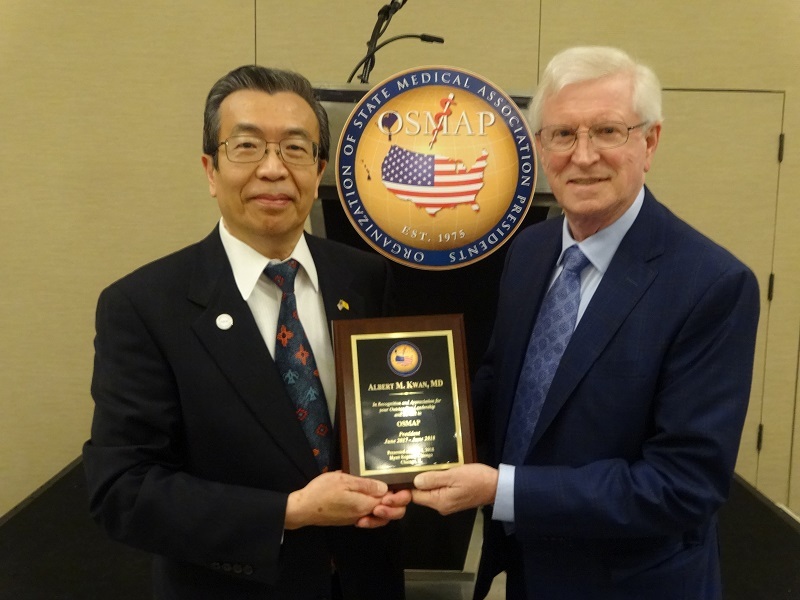 Robert T. Gunby, MD (Texas),Vice President (right) presents outgoing OSMAP President, Albert M. Kwan, MD (New Mexico) with a plaque recognizing his leadership and service to OSMAP for 2017-18. 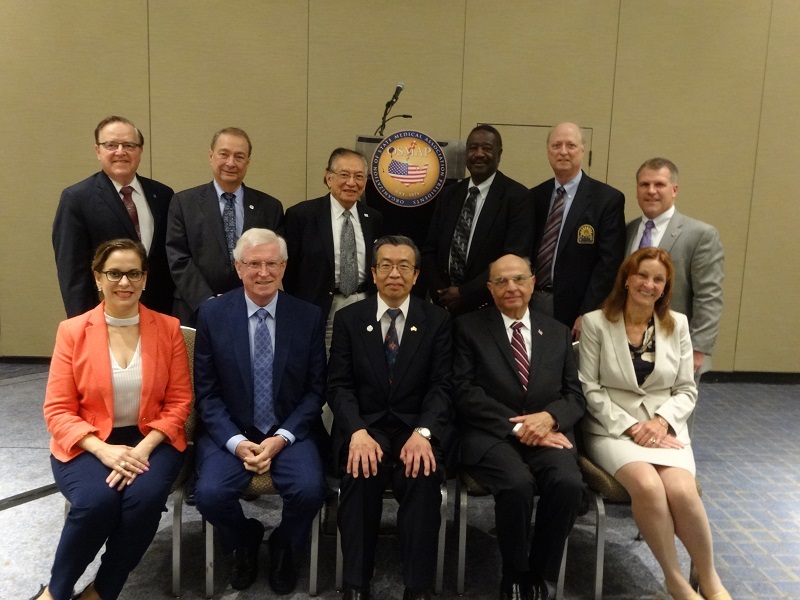 David Barbe, MD, AMA President, 2017-18. 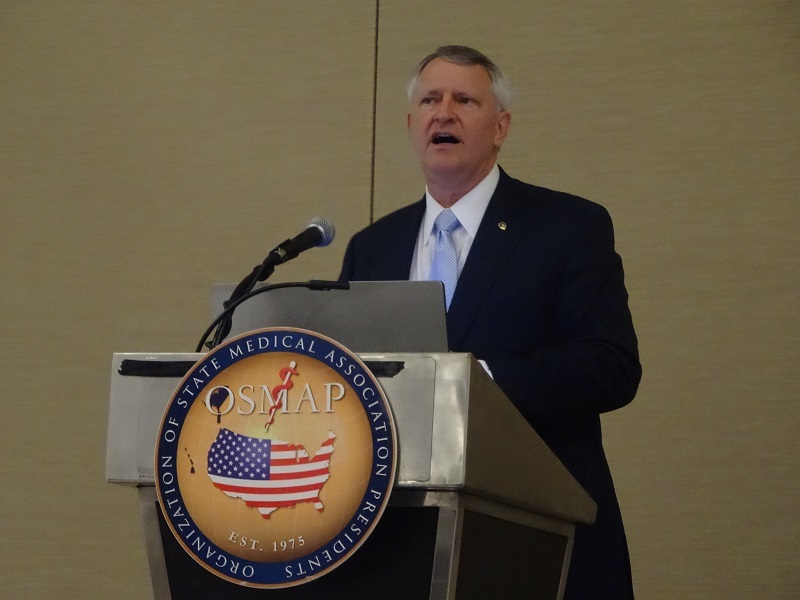 Incoming president Richard Warner, MD (Kansas) presents outgoing president Joseph Gutierrez, MD, with OSMAP Leadership Award on June 10, 2016 in Chicago.